Seatbelt campaign one of the biggest failures in road safety history? 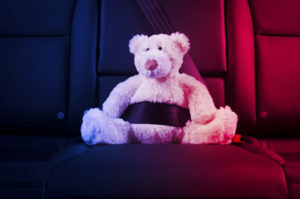 Seatbelt campaign one of the biggest failures in road safety in history? What happens when you treat symptoms and ignore the disease? There is no headway with the root of the problem. Masking the symptoms might also result in the disease getting worse. The analogy occurred to me as I prepared my road safety message for this year’s event commemorating the National Day of Remembrance for Road Crash Victims. We have been treating only the symptoms of our road safety disease. No wonder we’ve been getting nowhere. No wonder things are getting worse instead of better! I have a renewed sense of optimism. If we “get it”, we will start getting somewhere. Imagine yourself on a hike. The hiking trail is wide and flat with gentle sloping terrain on the sides. You watch out for tree roots that might trip you up, but your attention is primarily on the view and your discussion with your friend. You might pull out your smart phone and answer the odd text message. You get to a look-out point. A side trail takes you to the edge of a sharp drop-off cliff. What happens as you get closer and closer to that cliff edge? The hair at the back of your neck starts standing on edge, 100% of your focus turns to each step you take, you stop your discussion with your friend and there’s no way you’re reaching for your smart phone. Imagine that exact, same scenario, but there is a guiding service at the cliff. They put a harness on you, a thick rope tethering you to a huge tree. You walk confidently to the cliff edge, continuing your discussion with your friend. You pull your smart phone out to take pictures, and answer whatever texts might come in. The seatbelt campaign has been one of the biggest, and successful road safety campaigns of all time. On road trips when I was a kid, my brother and I played unbelted in the back seat. You would be hard pressed today to find any child unbelted in a vehicle. We were inundated with, and continue to see, campaign slogans of “belt up for life”, “buckle up before it’s too late”, “buckle up for safety”, and “buckle up stay safe”. Seat belts, and the seat belt campaign, were designed to prevent impact injuries from being thrown into the dashboard, thrown around a vehicle, or ejected. They have also reduced crash deaths. Those impact injuries and deaths, though, are symptoms. By treating the symptoms, we have done nothing to stop crashes. Worse, we have fed and nurtured the disease. Wearing a seatbelt does nothing to prevent crashes any more than wearing a harness at the edge of a cliff prevents you from losing your footing. All it does is reduce the perceived consequences of crashes and thereby reduce our level of care. Perhaps we should stop patting ourselves on the back for the successful seatbelt campaign and recognize that it has been one of the biggest failures in road safety in history. Consider a change of the law that prohibited, instead of required, seatbelt use. Imagine yourself sitting behind the wheel without a seatbelt, your child unbuckled in the back seat. How would that impact on your level of attention behind the wheel? Like being unharnessed at the edge of a cliff, you would put 100% of your attention on the roadway ahead of you, holding white-knuckled to the steering wheel, fearful of the very serious consequences that could befall you and your family. How do we get to that same driving attitude (i.e. treat the disease) while maintaining the protectiveness of seat belts? We raise public awareness of the very real consequences of collisions.